Siren Audio launched the Lorelei suite of applications (reviewed in SOS May 2012: www.soundonsound.com/sos/may12/articles/siren-audio.htm) a few years ago, and two of them have received major tweaks and updates. 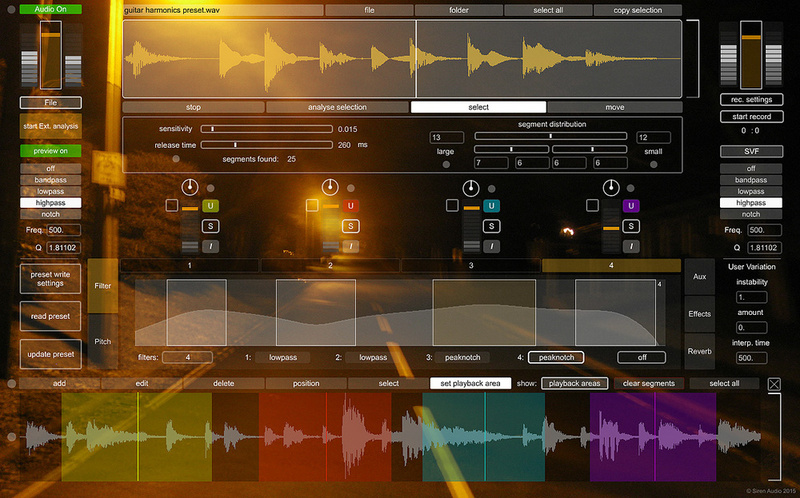 The first application, Generative, captures audio, either as a file or audio input, analyses it and uses granular synthesis to produce what Siren Audio describe as ‘evolving soundscapes’. As Sam Inglis commented in the original review, it allows a “world of weird and wonderful audio to be found in even a few bars of the dullest rock song”, and the latest version addresses some of the negative points raised in that review. CPU usage is now much leaner and it ran quite conservatively on my MacBook, while panning now seems to work more intuitively. The program has also been enhanced by the addition of a host of new features. The ability to set the pitch of the four different playheads individually enables you to build up complex chordal sounds. The graphical filters work smoothly and sound good. 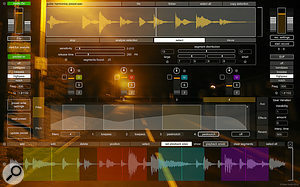 The new effects channel with delay ramp, distortion and delay effects, as well as an extra reverb section, adds a whole new dimension to the sound palette. Feedback 2 is a beast of an echo unit. Twenty different delays, each with its own delay time, time variations and gain setting, are compressed and then fed back into themselves, producing infinite feedback: a fairly mind-boggling concept and one that creates dense drones and loops. Control of this monster was a problem in the original, and I am not sure this has been solved in this update. However, what has been introduced is the same reverb (by Tim Place of C74 objects) as in Generative. The layout has been improved, with visual feedback of the overall tempo. There is also an output effects section offering compression, distortion, filters and — unbelievably — more delay! 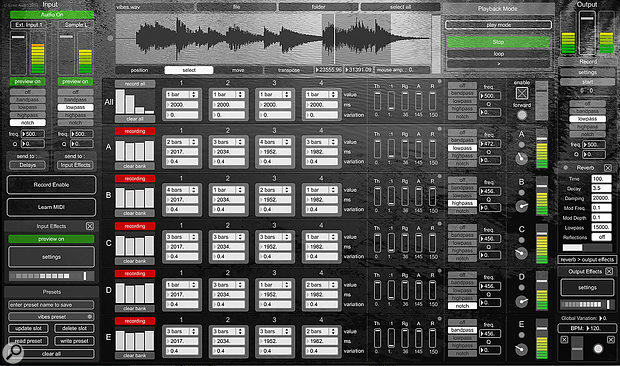 The new enhancements make both these programs very interesting options for any electronic music fan. Like Sam, I struggled at first to get to grips with them: both seem to have a mind of their own, and resist any attempts to control them. However, their faults are to a certain extent also their strengths, underlying their undoubtable charm. What they do is produce interesting and complex textures from the simplest of sources, and you never quite know what will come out! As a springboard for musical ideas they are fantastic. If any of your work involves textural sounds, these tools could well become essential creative tools. I found both programs fascinating and am looking forward to further exploration. Generative 2 £30; Feedback 2 £25.